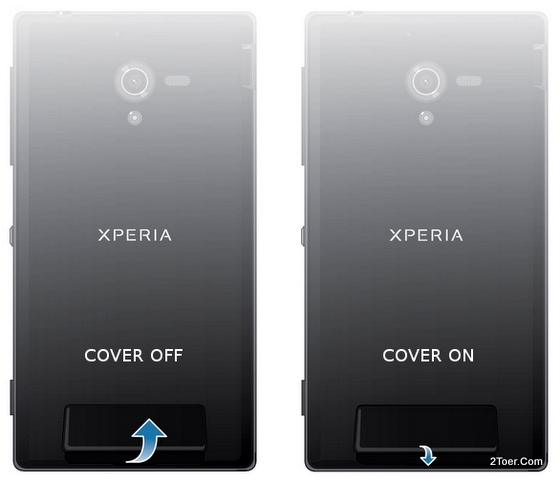 Not in the sides, nor in the top, nor bottom side, nor in full rear body of Sony Xperia ZL. 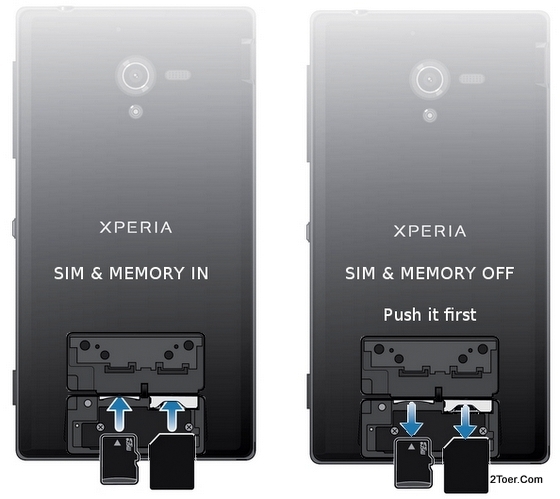 Yup, the SIM card slot and microSD Memory card slot of Xperia ZL locates just on small section on the rear bottom panel of the phone. As it shown on the picture below, you can see the small casing that covering the slot compartment of both the card. How you can open this cover? Here the tips for you. From the bottom opening gap, insert your fingertip into this opening point of the SIM and memory slot compartment cover casing, the lift the cover up until it's opened. After you opened the slot's cover, you can see the sim slot and memory slot. On the left side is for the microSD Memory slot, and on the right is for micro SIM slot. To close back the cover of SIM and memory card slot, you had to take a good look on the groove between the slots and back of the phone. Align the cover top-edge (the arrow) with the this groove, then press the top-edge down to the slot compartment (bottom-edge of compartment slot) until the cover firmly attached. You might heard a click sound in the process. 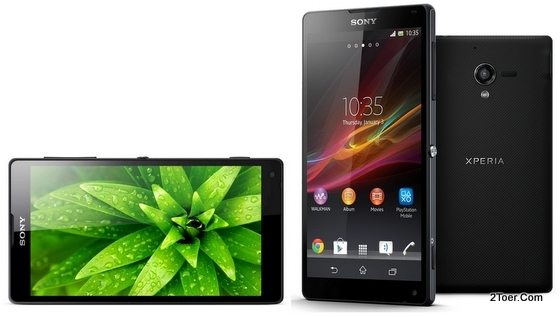 Somehow you Sony Xperia ZL suddenly hang, the touchscreen can't respond any touch activity, or the phone suddenly slowing down. You wanna to restart the device but it can be done by normal way, therefore you need to force the device to restart aka reboot. How to do that (Soft Reset)? Simply press and hold the Power key and the Volume key at the same time for about 7 seconds, that would make the Zperia ZL automatically restart. Or whenever you hold both power and volume the phone vibrates, release it. But in case you want to Hard Reset the phone, you can go to: Settings > Backup and reset > Reset phone > Erase everything.